Moods are soaring on the second day of Trveheim Festival as we have some time with Mindless Sinner to delve deep into their past and hear their thoughts on the current state of affairs in the world of heavy metal. Louise: I’m going to start by asking about the very beginning. You’ve had quite a few different names in the past and I wondered if you could tell me a bit about what inspired each of them. Christer Göransson: The first name was Purple Haze. It was two of us and two other guys but they didn’t have a singer. They played under that name and then I came along and we changed the name to Genocide after a Judas Priest song because we love Judas Priest. We changed the name to Metal Gods for one gig and then we changed it to Mindless Sinner. Louise: And was there anything in particular which inspired the final name? Louise: Despite being a bit on and off over the years, you’ve kept a really stable line-up. How did you manage where other bands didn’t? Göransson: Why we didn’t kill each other? 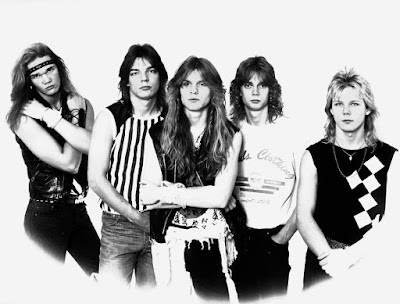 Göransson: This is the same line-up since late ‘84. We’re good friends. Carlson: We’re good friends and we stayed in the same town – Linköping in Sweden. Louise: And were you good friends before the band? Jerker Edman: No, you didn’t but when you came along, we became good friends. Carlson: We’re from the same part of Linköping as well so we went to the same school although we’re a little bit different ages. Louise: I’ve read in a couple of other interviews that you’ve described The New Messiah as a follow up to Turn On The Power but with a 2015 touch. I want to know about that last part, did you try and give the record a modern touch? Göransson: No, we wanted the record to sound like it was from 1986 but that’s a hard thing because it’s not 1986 anymore. Carlson: I think the aim was to avoid new touches and to keep it as eighties as possible. Göransson: We tried to record it as we did back in the day but we did record it digitally which was pretty different to analogue and that’s the 2015 bit. Carlson: It’s hard to avoid, it’s been many years developing and playing and so that was tough going back but we did good work. Louise: It’s interesting because so many bands seem like they aren’t as focused on recording albums that sound like they used to. Göransson: You can’t be stuck in the past, you know. You’ve got to progress and move forward but we have a sound and we wanted to preserve that, with a new touch. We have no aim to sound like another band or like 'new metal'. That’s not our thing, so why should we? Louise: Can you tell me about the best live show that you played back in the eighties? Magnus Danneblad: I can’t remember the eighties (laughing). Edmund: We did a show in our hometown and it turned out to be a big crowd that came along, we didn’t expect that. It was a great gig. The skin on the snare drum broke so we had to cut it short. We only played seven songs, we didn’t have a spare. Danneblad: That was a great gig, a short gig. It was in a kind of school hall and it was so crowded that they had to take away the temporary wall between the theatre and the dining hall. Göransson: I like to say that we haven’t done our best gig, yet. Carlson: Hopefully tonight! And then a better one after that. Louise: Well the next question was the same but for gigs since 2014. Do any of the shows in recent years stand out? 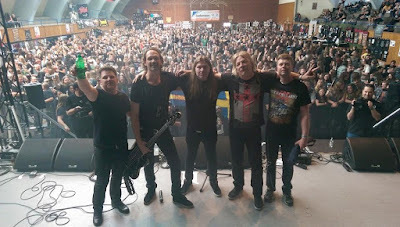 Göransson: Yes, KIT was great and we had a great gig in London at Live Evil. Tommy Viktorsson: I think the first gig we did at Muskelrock. We didn’t have any expectations whatsoever and the crowd was great. It was quite surprising. Carlson: Funny story there. We had a meet and greet and we hadn’t played for ages. Magnus said “what the f**k are we going to do at a meet and greet, who is going to want to meet and greet us, I’m not going”. We all said “come on, come on, we’ll try it”, and we sat there signing on shoes and people and meeting fans for half an hour, 45 minutes. We didn’t expect that and then the gig followed in the same footsteps. Louise: How is it with those younger fans who weren’t born yet when you were doing your thing in the eighties. What does that feel like? Viktorsson: It’s very hopeful for the future, seeing these young people makes me think, actually we did something good back in the eighties, we must have. Carlson: It’s amazing, the whole scene of this underground type of heavy metal. We went to L.A, London, Athens and wherever you meet people, if they’re young or old, they sing along to your songs and it’s hard to grasp. Louise: Taking those two time periods, in the eighties and now. Are either of them better or more fun than the other. How do you compare them? Göransson: Now or then? It’s better now. Because we are better musicians, we play better, we sound better and the crowds are bigger. Carlson: We’re doing the gigs we never got to do in the eighties. There weren’t any opportunities to go around the world the way we have the opportunity to do now. It’s a dream coming true. We’re around 50 (years) all of us, so it’s a weird feeling. We couldn’t dream that this could happen. Edmund: This isn’t even the dream we used to have, this is a bonus. Carlson: I guess it was more frustration in the eighties. We had a record contract quite young, 15 or 16 years old. We had big beliefs and nothing really came through. We did quite a lot of gigs and a few albums but I guess this is when the dream comes true. 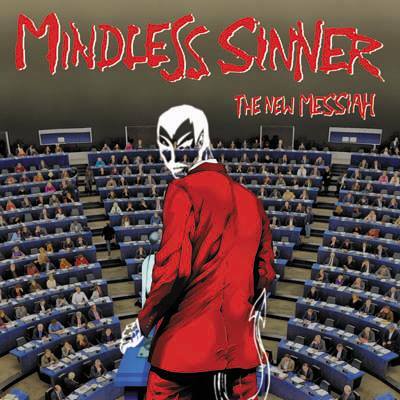 Louise: Since the end of the eighties had you always wanted to get Mindless Sinner back on stage? Göransson: No, we didn’t but some things happened that made this opportunity for us. So it was not planned. 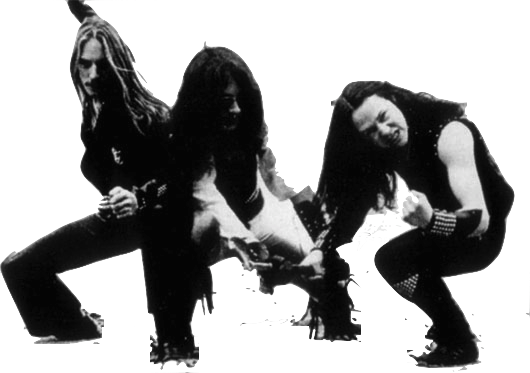 We split up in 1990, Tommy left and then the four of us had a band called Skinny Horse with the drummer from Axe Witch. We made an album back in ‘93 and then we split up as well. Carlson: We all stayed in the same town, we had contact. Me and Jerker also played in other bands and so everyone kept on playing. We had a bit of contact so we thought, let’s grab a beer and play a few old songs. Göransson: We thought we’d play this gig (Muskelrock) and that would be it. But then more opportunities came along. We’ve always been friends even if we weren’t playing together. We’ve never had any hard feelings. Carlson: When we broke up in the nineties, everyone wanted to do their own things. We were finished for that moment. Göransson: It was strange you know, because when we first met to play the gig, we rehearsed, we plugged in and started to play and it was like we had never stopped. 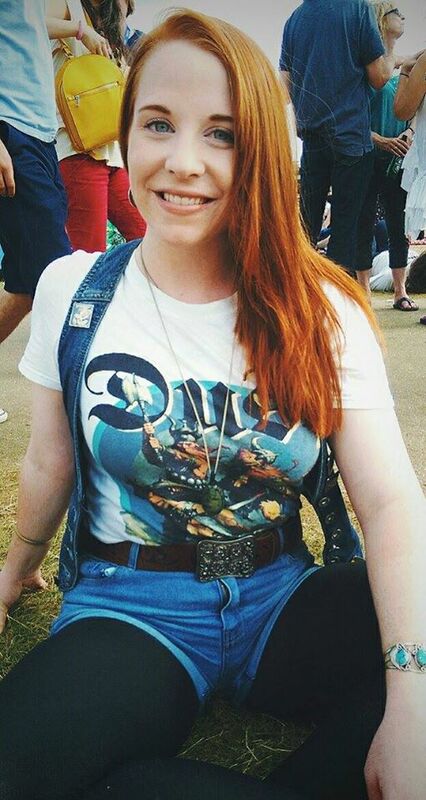 Louise: During those years that you weren’t active with Mindless Sinner, have you still been going to heavy metal shows, listening to new bands? Has it still been a part of your life? Carlson: You can add that there’s a lot of things happening privately with families and kids. Edmund: Life came along and that’s good. It’s still always been a part of our lives. Louise: Have your musical interests changed much over the years? Danneblad: New music always comes along year after year but you still have your roots somewhere in there. 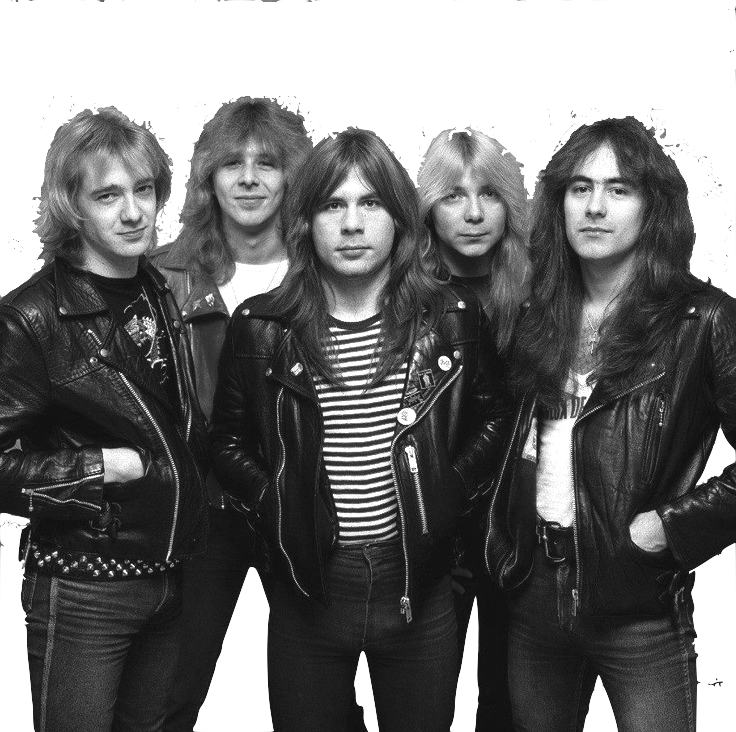 Louise: Are there any young bands who you can see reaching the potential or quality of the likes of Judas Priest, Iron Maiden, Dio? Göransson: That’s a hard question. Carlson: There’s loads of good bands around and all these great old bands are still touring too. Then guys like us turn up and with all the new bands and all the revival bands it gets so crowded and there’s so many good bands around so we’re so grateful and thankful that we get asked to play here or wherever else. Göransson: I can’t see it. The new bands, they are great but still nothing like the old ones but there’s plenty of music I haven’t heard. Carlson: Of course there’s going to be great new bands and new icons but I think in this genre the old bands are iconic and have a special status. Göransson: The music scene is different now. We didn’t have the internet in those days. Now anyone can record anything in their living room and everyone around the world can hear it. Back then we were sending tapes to record companies. Danneblad: Back then you had mail correspondence all over the world. You would write to a fan and maybe you’d get a response in a couple of months. It was a really different time to communicate. Louise: Do you prefer that as it is these days? Or how it was back in the day sending tapes ? Göransson: It’s yes and no. Because there’s so many bands now. There were many back then as well but it’s so easy now for everyone to send out their song, recorded at home. The amount can make it drown a bit, it can be easy to get lost a little bit. Of course it’s positive and also positive for us. That’s how we’re here now. Louise: Is there anything for us to watch out for coming up with Mindless Sinner? Göransson: We’ve got a new album in the works. It will be out next year sometime. Carlson: It’s going to follow the footsteps and progress we’ve made before. We can’t be standing in one place all the time but it’s going to have a lot of good things from the past and other things to bring it along and a little bit forwards. Göransson: We have recorded everything but the vocals so that’s next. Louise: And that’s everything, thank you so much guys. Carlson: We could just add what we feel about coming to places like this. It’s amazing to find all these volunteers and of course we chip in as a band too. There’s no money in this scene. Everyone’s working hard, there’s a lot of love and positive vibes at these places across the whole circuit. That’s probably the most important thing. Göransson: They’re working hard for free, for the love of the music. Stay up-to-date with Mindless Sinner via their Facebook page.